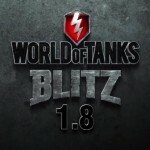 Update WoT Blitz 1.8. 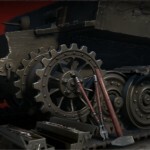 Details | WoT Blitz 5.9 - Fan Site! 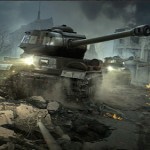 Very soon will come a new update WoT Blitz 1.8. But so far it has not happened we want to tell you about the changes and innovations that will in the near future in our beloved game. In this update, we will add missions and the new tutorial process, and also improve out system of quick registration. Missions are a new system that allows players to received game bonuses for completing different objectives. For example, a mission might be to spot three enemies when playing a light tank and survive. If player succeed they will receive a reward regardless of whether the battle is won or lost. Even if you play in a platoon, each member of the platoon will have his or her own set of missions. You can help each other complete missions, thought. A special tab will appear in the Garage. Three missions will be available. You can complete these missions either simultaneously or one by one, depending on their conditions and your preferences. Missions will be unique. Some will require individual skill, and some will require teamwork. Some missions must be completed during one battle, while some others can be completed gradually over several battles. Missions vary according to what vehicles you have in your Garage and what tiers those vehicles are. So, when you play the vehicles of different nations and research new vehicles and their branches you will receive new missions. And what if a player can’t complete a mission? You can skip one mission per day without completing it. In this case, it will be replaced with a new one. As for the rest, if missions are not limited in time, they will stay in the list until they are completed. What rewards will players received for completing missions? Missions will make battles more diverse and unpredictable, but the main bonus is the reward for completing them. There will be additional credita, experience for vehicles and crew, Free experience, Premium Account time, and other bonuses depending on the difficulty of the mission. Whith the introduction of missions, research of new vehicles will become more accessible, and the vehicles in a player’s Garage will be more useful and beneficial. How will the Tutorial change? We remade the Tutorial map and changed the overall Tutorial process. Now, players will receive more detailed information at every stage of the Tutorial. We will not only explain the basics of vehicle control and shooting, but also recreate real battle situations. Thanks to these changes, players will be more prepared when they star fighiting real battles. How will quick registration change? We will implement the demo account system. This will allow players to immediately proceed to the game and not to have spend time on the registration process. Such accounts are created automatically, so you will be able to enter the battle in just a few taps. Of course, standard accounts have more services and functions. You will be able to transfer the progress from your demo account to a standard account at any time. All you have to do is register. In this case, you will also be able to change your nickname for free. 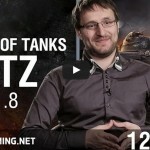 Update WoT Blitz 1.8 is coming! 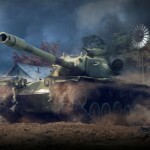 Update WoT Blitz 2.3 is Here!